Orange-mat Coprinus (Coprinellus sp -- C. domesticus or C. radians). 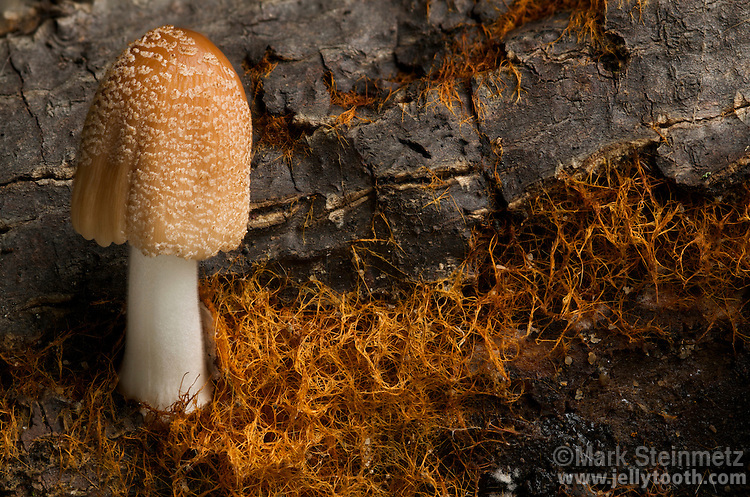 Looking like orange moss, this Coprinus mushroom actually is growing from an onozium, or hyphal mat, which is a visible portion of the organism's mycelium. Saprobic on dead wood. Athens County, Ohio, USA.